On February 13, 1903 there were 101,277 absolutely windowless rooms in New York. This fact is from an article written in “The Technical World Magazine” by Bailey Millard in October 1910. 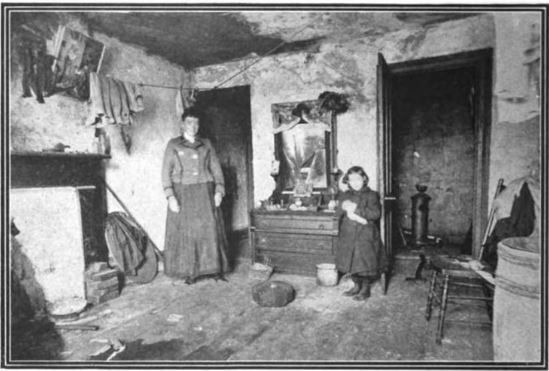 The article was titled “People Who Dwell in the Dark” and was a call to the New York Tenement Association to rectify the situation. While apparent progress had been made (only 90,000 people were still stuck in dark rooms by the article’s printing) the article makes a valid point. Rooms without windows are not good for humans. Even though we all know better now, there are still a number of home and work environments that exist without the benefit of daylight. Finding Zen in a windowless room is a challenge, but it can be mastered with a few tips and perceptual tricks. After all, Zen is merely a state of mind. And if you can get your mind to think lightly, you’ll be able to reap at least a few of the daylighting benefits. rface areas connected together will also make the room look larger. Finding a focus point in a singular color will give your brain a boost so add a bright area rug or flowers. Stuck in a cubicle, make sure the ceiling tiles above you are bright white, not the color of old writing paper. Can’t paint the cubie walls? Try hanging light colored drape around the edges. Yes this is probably more than you want to do with what you hope will be a temporary space. But the improvement to your overall outlook will be worth it. zes similar and the orientation the same. If you have a large horizontal mirror for example, put it on the wall opposite a large horizontal piece of art. In a cubicle, a mirror can help you have a different view of what is going on outside the cube without having to peer through the entry or over the divider. tting a small dome light behind a plant or photo collection. Light up the corners by using floor lamps when practical. Add lights along a bookshelf, under a bench or behind a headboard. 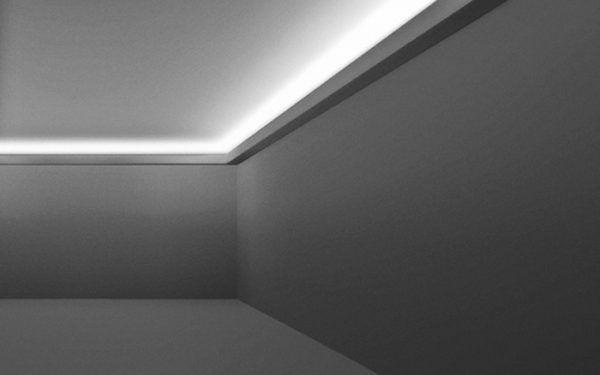 Soft white lights emulate diffused light that would be coming in a window with indirect sunlight. 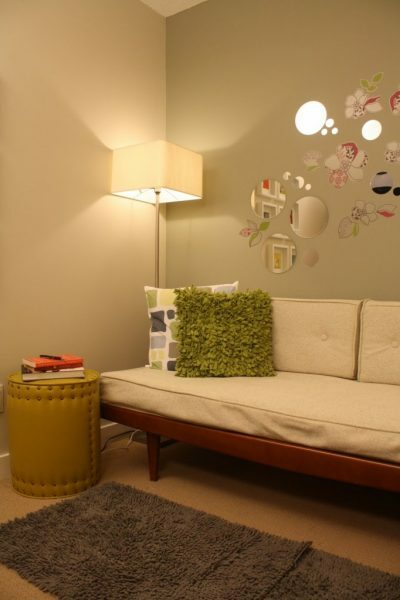 Using these types of lights will give you the calming effect that you would get naturally. 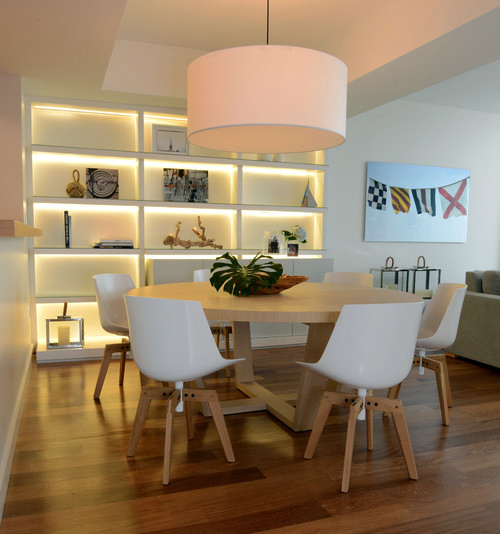 Be sure that the light bulbs do not cast yellow hues, instead look for bulbs that say “daylight” which are designed to emulate natural sunlight. furniture like occasional table and chair in front of the curtains. This will heighten the window effect. Not up for the curtain look? Try translucent panels in light colors or opaque white with lights behind. Now that your room is lighter and well lit, you should start to see an improvement in your overall outlook. The ability to stay awake and on task is greatly improved just by getting out of the shadows. For an extra bit of Zen add a plant to increase memory and concentration. While finding Zen may all be a state of mind, you have the ability to alter your mindset with some creative lighting effects. Previous Post: University of Alabama Rocks!